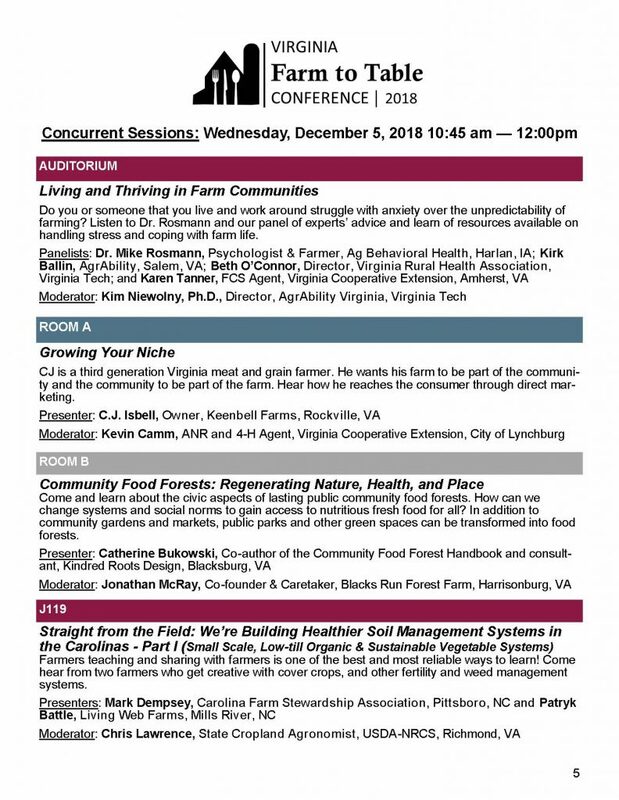 Virginia Farm to Table | Healthy Farms and Healthy Food for the Common Wealth and Common Good. 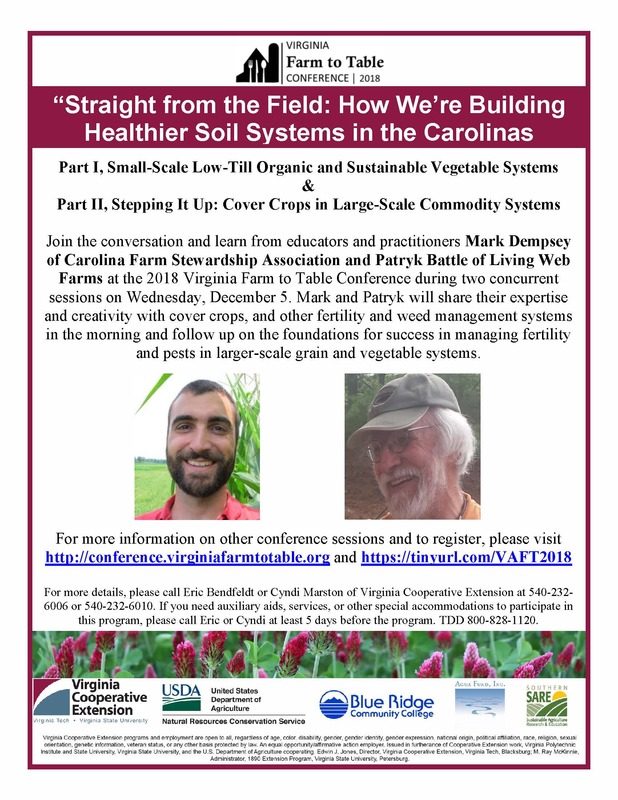 This is a FREE community event offered as part of the 2018 Virginia Farm to Table Conference, which will be held at Blue Ridge Community College in Weyers Cave, Virginia on Wednesday, December 5 and Thursday, December 7. 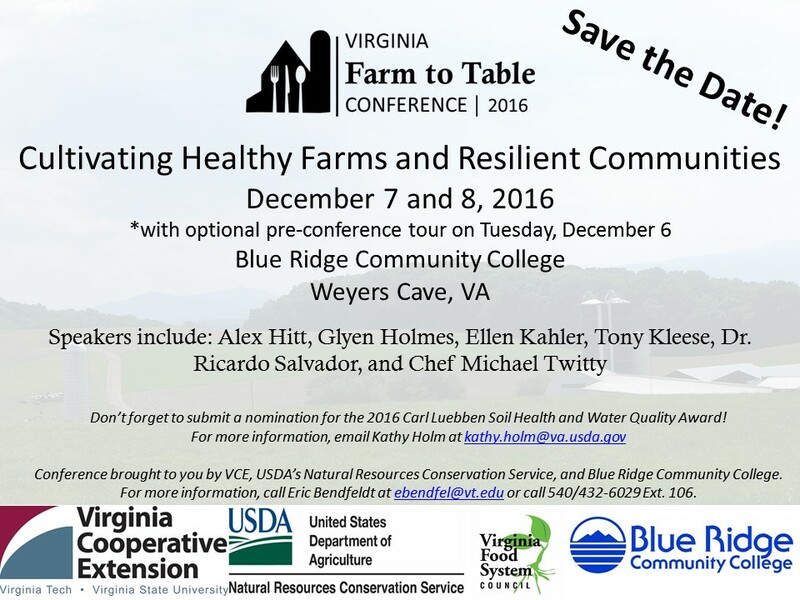 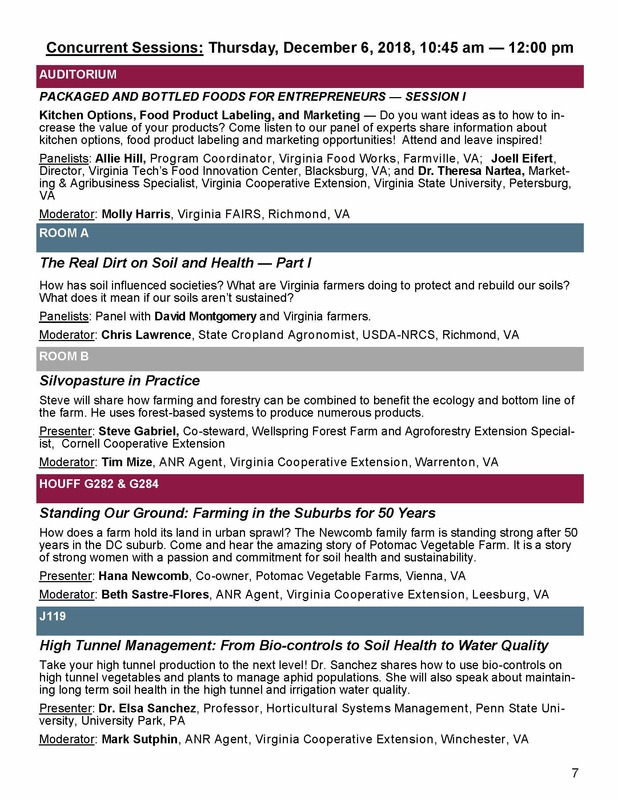 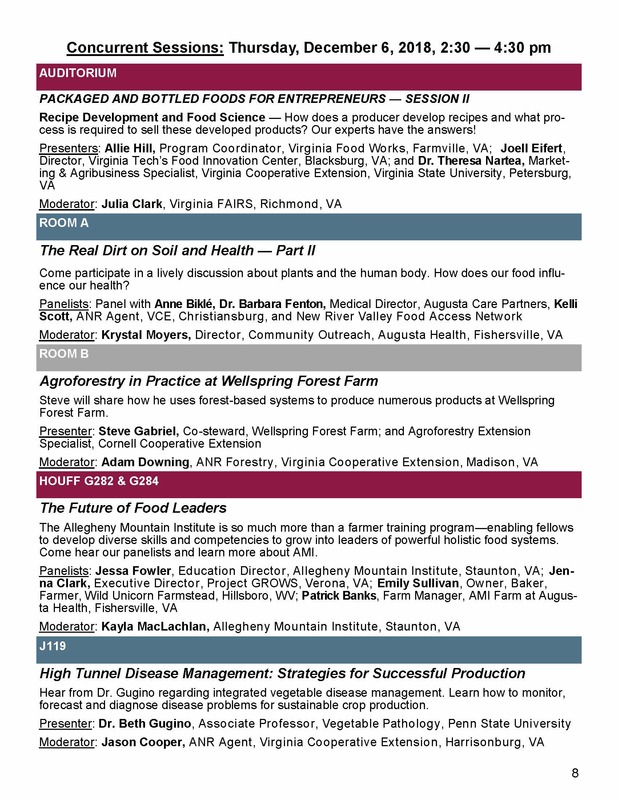 Register Now for the 2016 Virginia Farm to Table Conference! 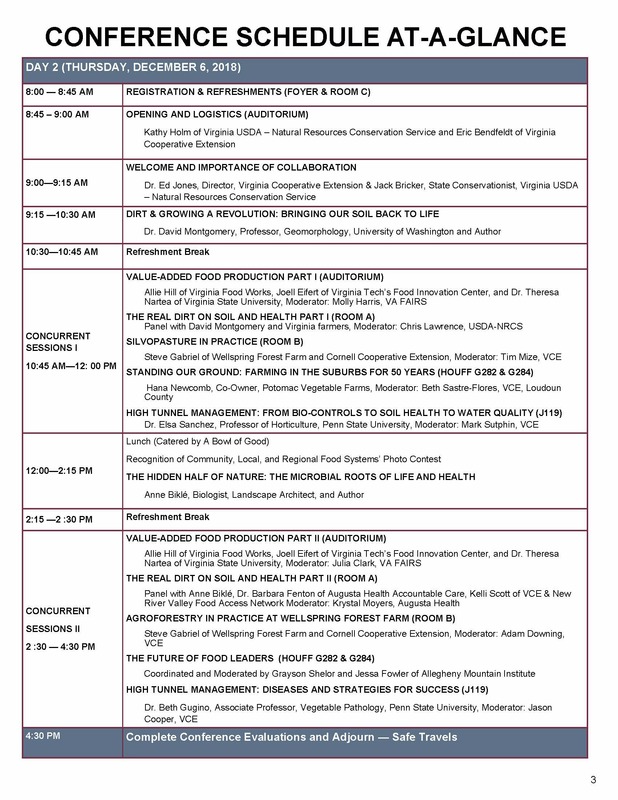 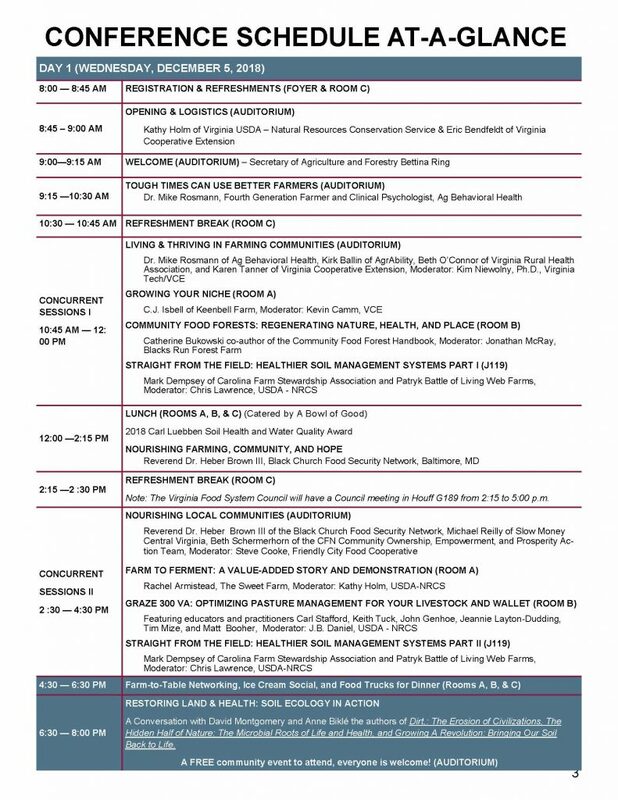 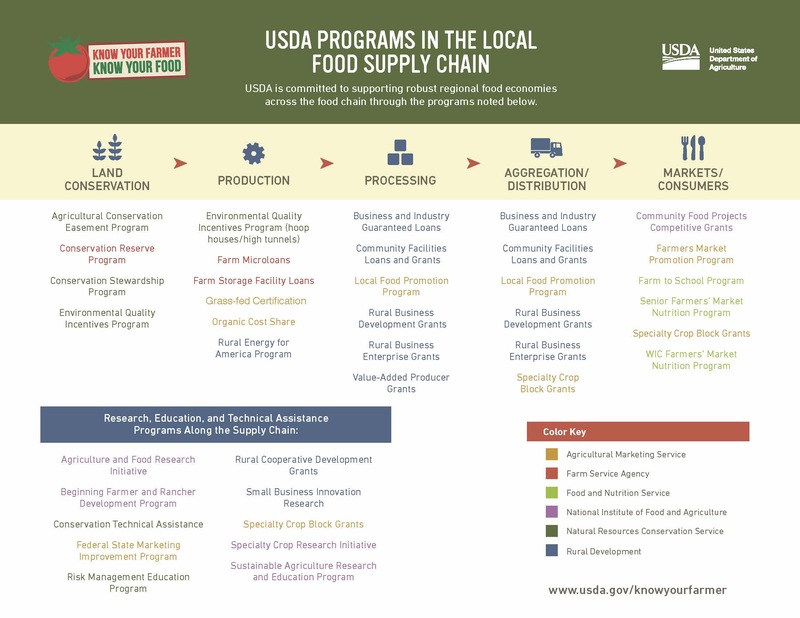 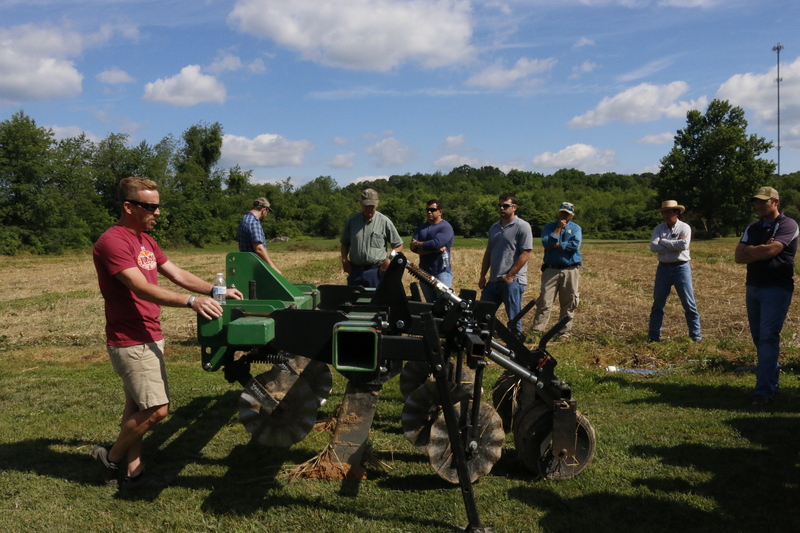 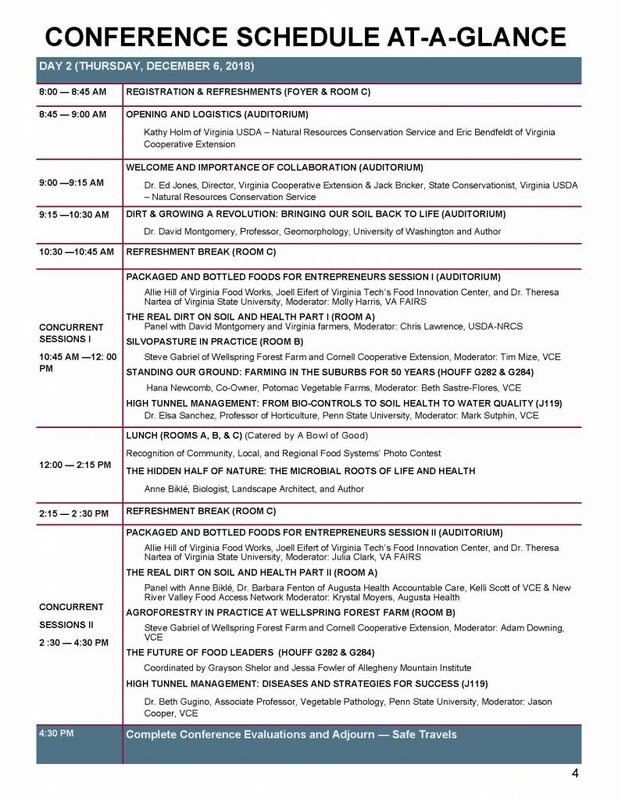 The 2016 Virginia Farm to Table Conference will be of interest to producers, buyers, community and agricultural development officials, policymakers, educators, technical service providers, and food system stakeholders. 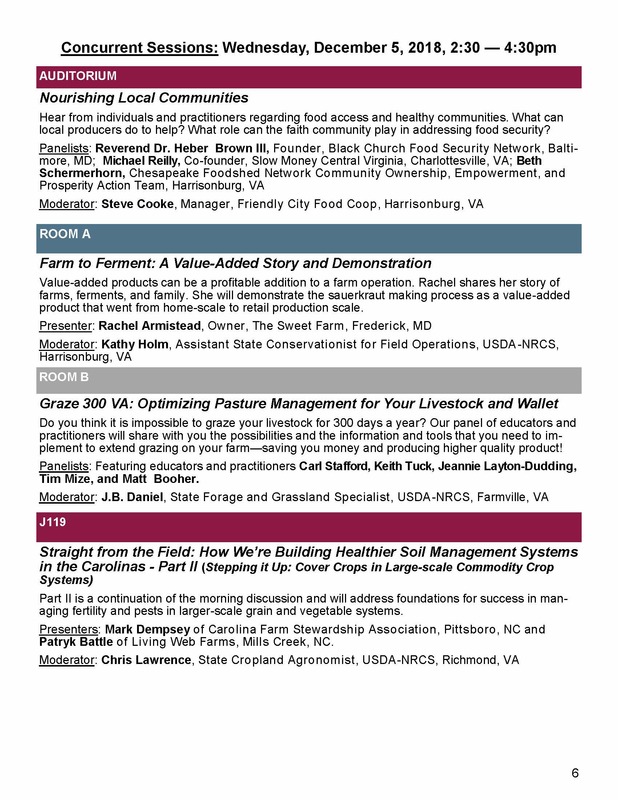 This year’s event features a pre-conference tour, along with diverse presentations from national and state experts and practitioners on the practical applications of soil and water health; finding leverage and your niche; local food for all; building a solid business foundation; nutrition and community health; opportunities for military veteran farmers; food system leadership and development; collective impact and local food system level change initiatives. 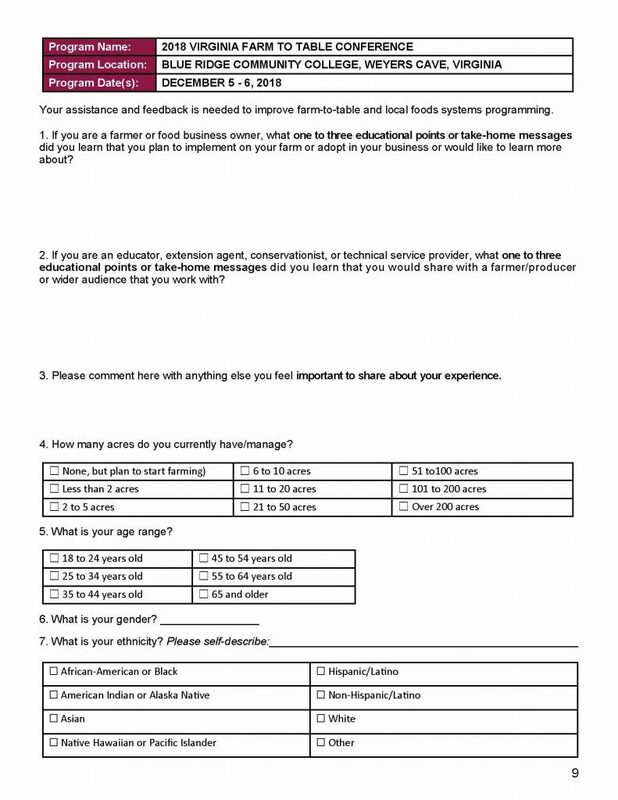 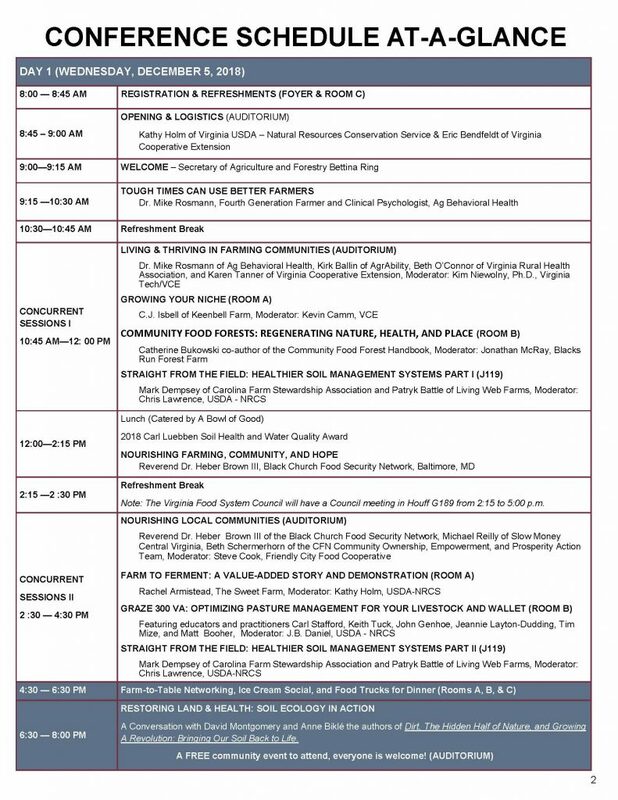 Registration for the conference is being coordinated in partnership with Blue Ridge Community College’s Workforce and Continuing Education program. 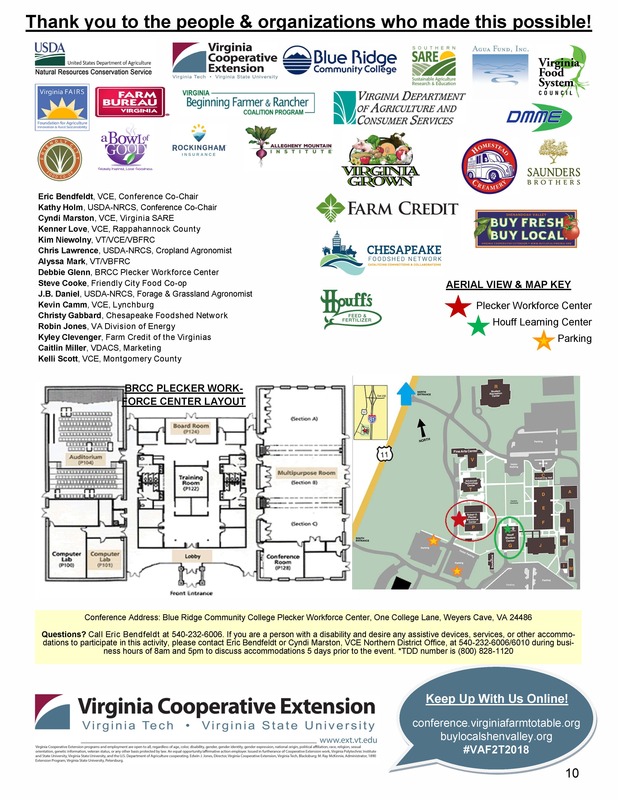 Therefore, you will be directed to Blue Ridge Community College’s website as if you were enrolling in a course. 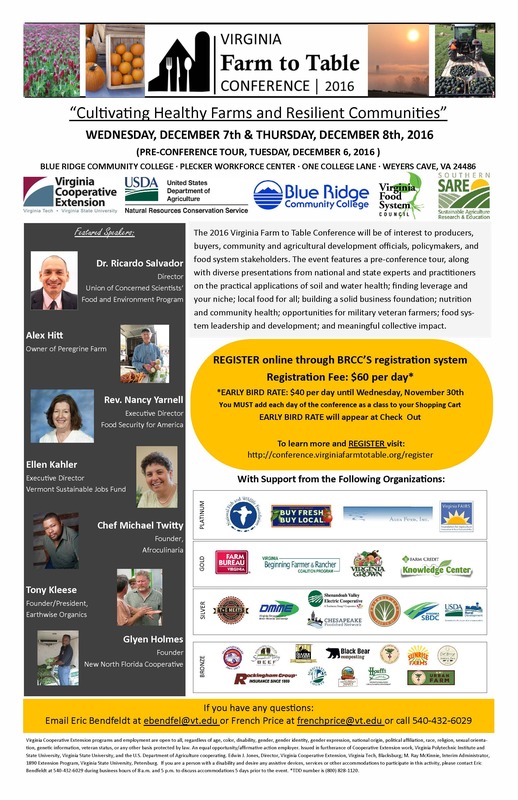 The EARLY BIRD RATE of $40 per day for registration is available through November 30, 2016. 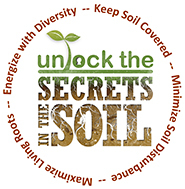 The regular registration rate of $60 per day will apply after November 30, 2016. 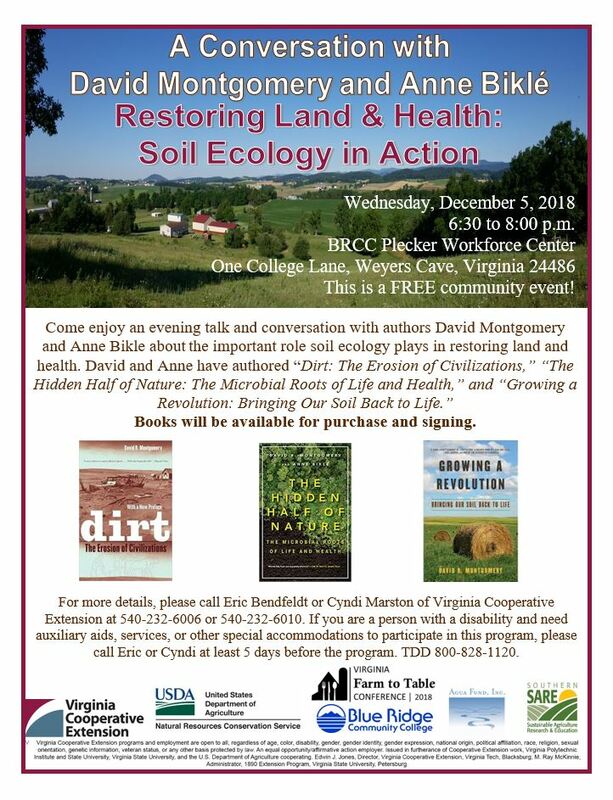 Please note the Early Bird Discount will be applied once the courses are added to your shopping cart on the Blur Ridge Community College enrollment site! 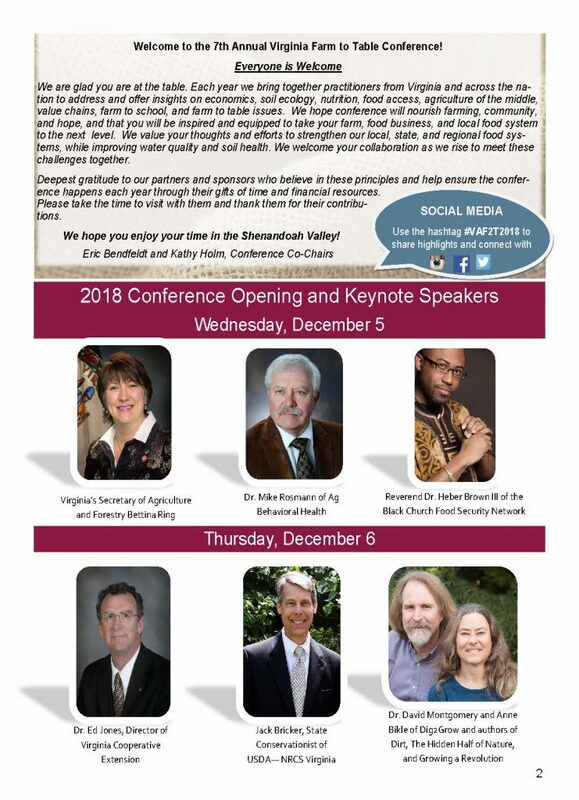 If you encounter any problems during the registration process and have questions, please contact BRCC Workforce and Continuing Education at 540-453-2215.